Carolina for Kibera exists to develop local leaders, catalyze positive change, and alleviate poverty in the informal settlement of Kibera in Nairobi, Kenya. We also combine service with responsible research to inform and assist participatory development in Kibera and other informal settlements globally. By maintaining a participatory focus, continuing to invest in youth, and forming key partnerships, the future is full of possibility and growth for CFK. With a focus on youth and a commitment to improving health, social, and economic conditions for all Kiberans, we have several ambitious growth targets for the next few years. Click here for our 2020 Strategy and Goals. Empower and equip every Kiberan to be healthy and make meaningful contributions to their community. Living in an impoverished setting does not define a person’s character or capacity for success. In the face of this adversity, we provide support and opportunities so that every person living in Kibera can reach his or her potential. Kibera is our partner, not a service project. Working collaboratively, we offer Kiberans opportunity and resources to be effective community leaders. CFK recognizes that Kiberans themselves have the knowledge and energy to create sustainable change. Dedicated individuals within the community shape the future of Kibera. At CFK, all decisions made by the staff, volunteers, board members and partners must be in accordance with our mission. United under a common vision, we can work together to truly improve the quality of life in Kibera. CFK has a moral responsibility to be transparent and accountable in every interaction with staff, clients, and partners. We take pride in every individual and collective action connected to CFK. 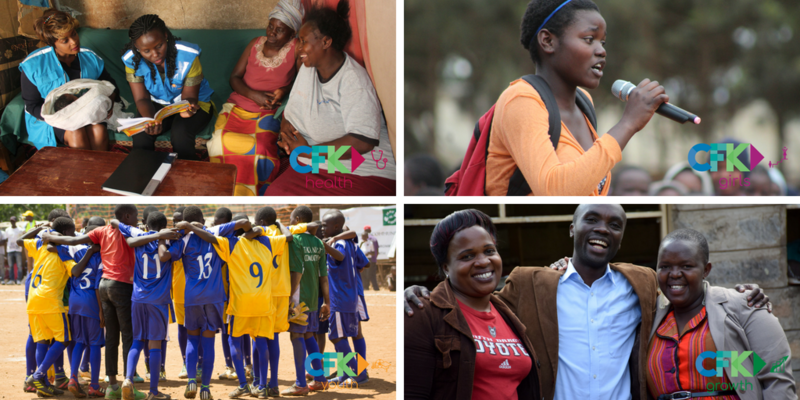 CFK works diligently to bring out the best in colleagues, partners and residents of Kibera. We welcome constructive feedback because we value self-improvement and uphold the highest professional standards. CFK aims to empower people both inside and outside of the organization. We value the input of all stakeholders equally and actively work to foster a culture of diversity within our programs. As a learning organization, CFK encourages a culture of boldness and creativity. We recognize that taking risks may be necessary to find better ways to address community challenges, manage resources, and develop programs.